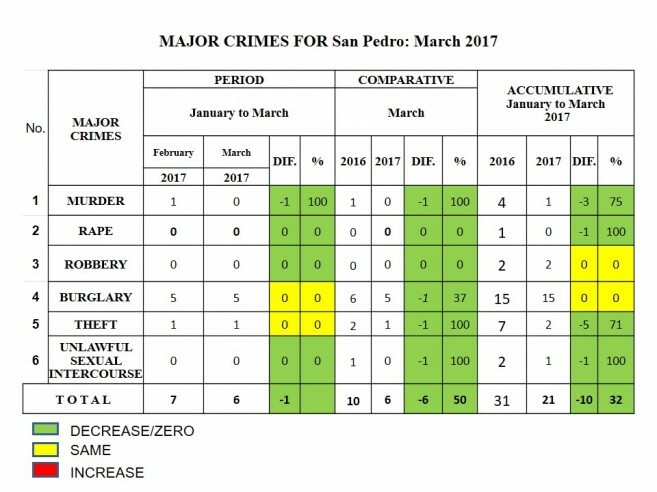 The San Pedro Police Department has released the crime statistics for the month of March. Once again, there was a steady decrease in major crimes, but burglary remains the leading crime in the third month of 2017. The report also indicates that most of the major crime cases ended in arrest. 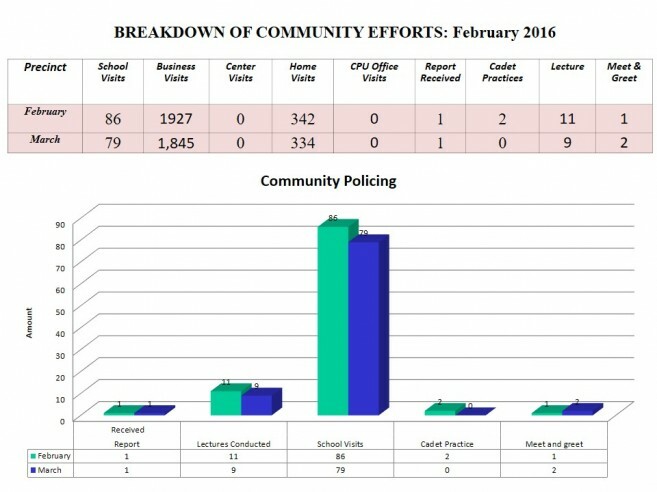 Other crimes, including wounding, harassing, harm, and damage to property, also experienced a decrease during March. No murders were registered, but a theft of a motor vehicle valued above $5,000 was reported. No arrests were made, but police continue investigating. 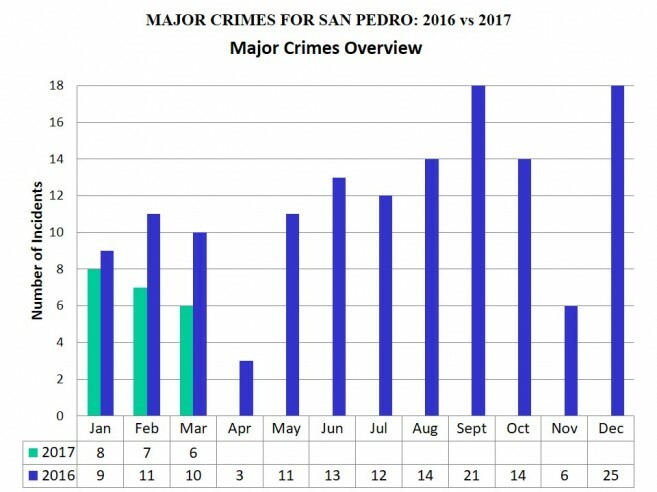 According to the statistics report for March, most of the crime incidents took place north of downtown San Pedro. Police also carried out raids, seizing drugs such as Marijuana and Cocaine, making several arrests in the process. The majority of arrests (25) were for possession of marijuana. Police are also pleased to report an increase in crime response and patrols.